Crow Street Theatre, Dublin, in March 1750. The playbill tells of a benefit concert organized “at the particular desire of persons of quality”. The whole house is to be illuminated with wax lights, and the performance followed by a grand ball with card tables and all proper attendance. And making her debut: Rachel Baptiste, a scholar of Sgr Palma, in whose honour the concert is being held. The audience is about to witness something never before seen: “a real black woman”, also described as “a native of this country”, onstage; a remarkable singer, ” a black siren”, about to become something of a celebrity. In other accounts she was said to wear a wreath of roses over a gown of orange silk. It seems Miss Baptiste had quite a range: from classical recitals to contemporary songs (Lord Chesterfield’s Fair Kitty, beautiful and young was the favourite during the 1750s). For the next few years, she appeared regularly in Dublin at private assemblies as well as Marlborough Green Gardens, Smock Alley and Crow street. In 1767, while on a tour of concerts and balls in Kilkenny, she sang to an appreciative audience. One “gentleman of Kilkenny” was so moved by what he saw and heard, that he turned to poetry to convey his high opinion of the singer, and the result was published in Finn’s Leinster Journal. In the same month, another letter referred to her as a “celebrated Black syren” who, by the “irresistible charms of her throat, would persuade people to part with their money. This was at a fund-raising benefit at the Tholsel Assembly Room, in aid of the Kilkenny Infirmary. 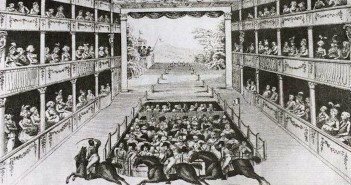 Pony races at the Theatre Royal, Crow Street, around the time of Rachel Baptiste’s stardom. Miss Baptiste married some time after 1767 – to a Mr. John Crow who was a teacher of violin and a restorer of paintings “using the latest methods”. Afterwards she appeared under her married name. Every winter the couple stayed in a provincial town. Rachel Crow sang at balls and concerts while her husband offered lessons. She performed in Limerick, Ennis, Cork and Bandon and in 1772 she was in Belfast for the season under the auspices of the Belfast Musical Society. For a number of years she appeared in England, performing in London and Bath and further afield to “universal applause”, by her own account. Liverpool newspapers report that the “celebrated singer from the gardens of Dublin” sang in the Ranelagh Gardens in Liverpool in the spring and summer of 1758. The Irish Dictionary of National Biography speculates that Rachel is most likely to have been the black singer and actress who played the part of Polly Peachum in The Beggar’s Opera and that of Juliet in Shakespeare’s Romeo and Juliet in Lancashire about this time. Beyond the scant details of her husband’s name and profession, there is little known about Rachel Baptiste’s private life – where she came from, and what became of her after her last recorded public appearance in Belfast in 1773. It seems rather a shame that such an amazing woman, once so celebrated, should have disappeared from public memory and record. We attempt to right that wrong on Headstuff now. Laura McKenna is working on a novel as part of a PhD in Creative Writing at University College Cork. 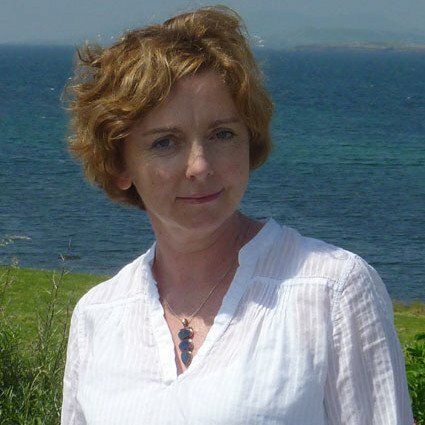 Her short stories and poetry have been published widely and she is the recipient of many awards including the Penguin/RTE Guide Short Story Prize, a nomination for a Forward Prize for Poetry 2016, and a Hennessy Award nomination in 2012. She is a past winner of the Novel Fair at the Irish Writers' Centre and was longlisted for the Lucy Cavendish Fiction Prize in April 2016. Her work has been supported by Literature Bursary by the Arts Council (2012) and a Tyrone Guthrie Bursary from Cork County Council in 2014.